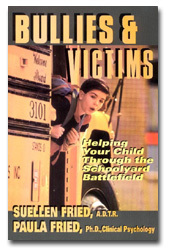 Your interest in bullying prevention is important to me and I hope I can be a resource for you. 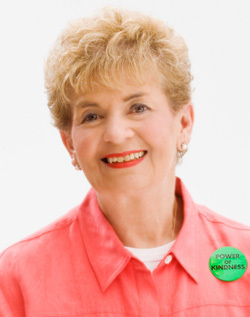 Since 1976 I have been deeply involved as a volunteer in the prevention of child abuse. I served as Chairman of the Board of Prevent Child Abuse America from 1980-82. 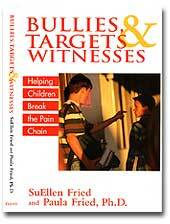 My concern for the cruelty of children to each other led me to co-author two books on the subject of bullying with my daughter, Paula Fried, Ph.D. “Bullies & Victims – Helping Your Child Through the Schoolyard Battlefield” and “Bullies, Targets & Witnesses – Helping Children Break the Pain Chain”. 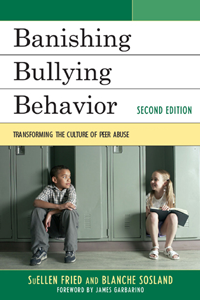 A third book, “Banishing Bullying Behavior -Transforming the Culture of Pain, Rage & Revenge” co-authored with Blanche Sosland, PhD, was released at the end of 2009. In 2005 I co-authored, with Lynn Lang, a workbook, “30 Activities for Getting Better At Getting Along”. I have worked with over 85,000 students and educators in 36 states during the past 18 years, conducting student empowerment sessions in public, private and parochial classrooms in rural, urban and suburban settings. Their insights and their pain have led me to design workshops for teachers, administrators and parents to change the culture of our schools. In 2002 I founded BullySafeUSA, working with seven extraordinary colleagues across the country who share my passion to prevent bullying. We conduct “Train the Trainer” Training Institutes, speak at conferences and work with school districts to develop a comprehensive approach to prevent bullying. Please check out further information about me, and the experience I bring to my work. Fried and Sosland bring their combined experience together to present a blueprint to reduce the pain, rage, revenge and pain, depression, suicide cycles of bullying. 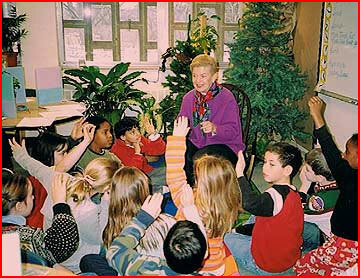 Their strategies have been captured from hands-on interaction with students, educators and parents.